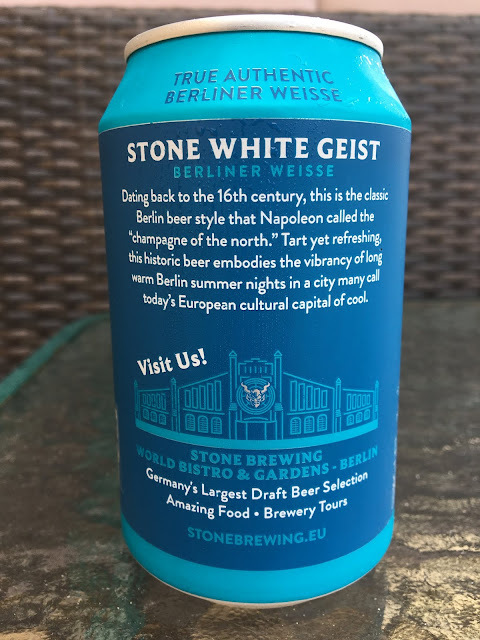 So the Stone Gargoyles delivered a baby 11.2 oz can from Germany. 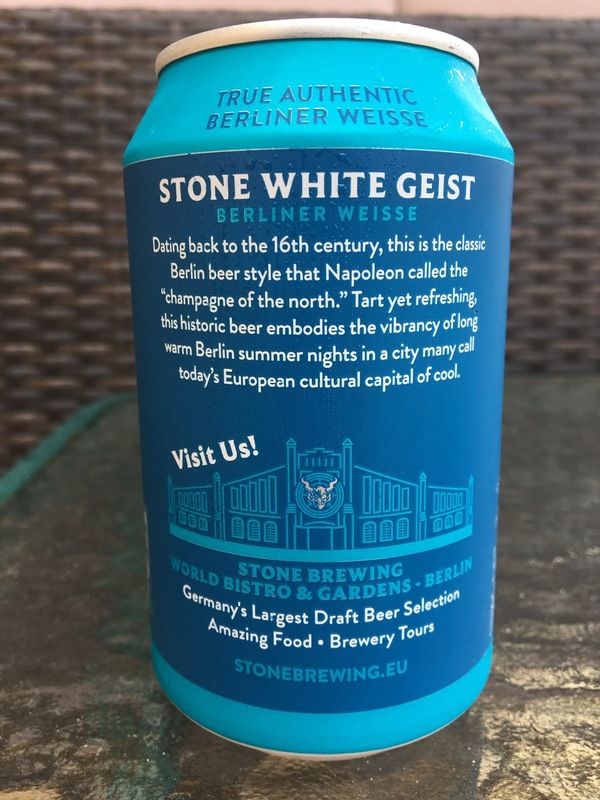 As the story says, White Geist Berliner Weisse is a descendant of what Napoleon called the "champagne of the north." 4.7% alcohol. 11.2 oz can. 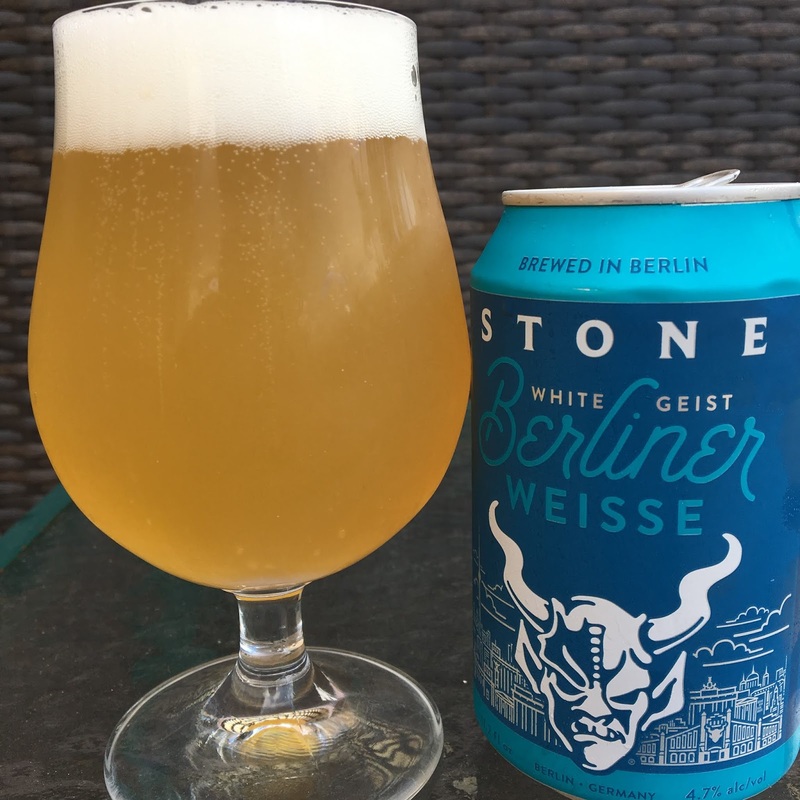 Salty, lemony, sharp aroma. Wow! Quite tart grabs the sides of your cheeks, first sip! Lemon, salty and a little fruity. Super refreshing and you definitely do get used to the tart part! Nice beer!